Every year the Administration and the Congress battle stubbornly and often bitterly over appropriations for foreign aid. Clearly much more is at stake than a difference of opinion over a small fraction of the annual budget: the tug-of-war stems from clashes of basic political philosophies, divergent approaches to one of the most important elements of our foreign policy, and inherent conflicts among various domestic power blocs.In his book, which adds a much-needed dimension to the discussion and analysis of United States foreign policy, O'Leary reveals the many complex factors that go into the making of American foreign aid policy. 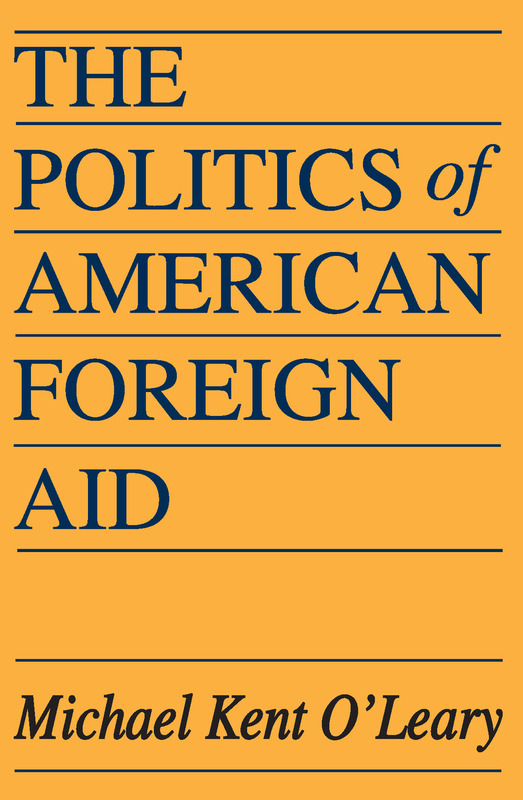 While placing the emphasis on the political system as a whole--its components, the relative power of actors in the system, and the manner in which they interact to create policy--the author presents a detailed and enlightening picture of the attitudes of the general public, the political parties, the pressure groups, and Congress itself to the issue of foreign aid.Basing his work on poll data, press comment, Congressional and Executive documents, Congressional roll-call votes, and interviews with congressmen, their assistants, foreign aid officials, and lobbyists, O'Leary makes clear how the workings of the American political system affect our foreign aid policy and programs. Originally published in 1967, it remains useful for all courses dealing with our foreign relations, Congress, or the specifics of the operation of our government.